I'm SUPPOSED to be studying for my exam tomorrow morning but this class NEVER FAILS IN PUTTING ME TO SLEEP and all the content is just so DRY and I am procrastinating my time away. I have FOUR exams over the next THREE days and I am not prepared for any of them. ALSO, I HAVE SUBMISSIONS RIGHT IN THE MIDDLE. #CollegeIsKillingMe. 1. 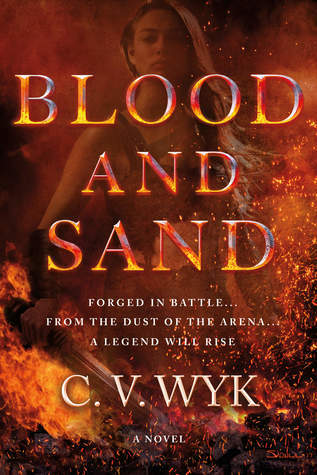 Blood and Sand by C.V.Wyk: I JUST finished reading this book yesterday and I ABSOLUTELY LOVED IT. C.V.Wyk's debut novel has made it onto my ALL TIME FAVOURITE LIST because HOLY CRAP THIS BOOK WAS GOOD. It had all the right elements, was brilliantly paced, had great characterization and a SHOCKING ENDING that makes me want the sequel NOW. Public Service Announcement: GET YOUR COPY OF THIS BOOK NOW. 2. 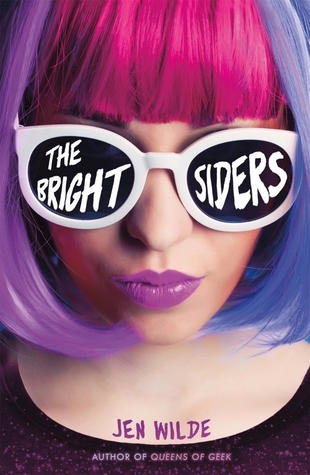 The Brightsiders by Jen Wilde: Let's just call Jen Wilde QUEEN OF BOOKS WITH GIRLS THAT HAVE AMAZING HAIR, because I LOVE THIS COVER. This is all about a rock star drummer, the scandals she can't avoid and her gender-queer love interest. I CANNOT WAIT TO DIVE IN. 3. 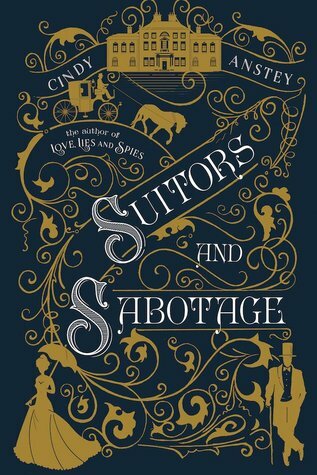 Suitors and Sabotage by Cindey Antsey: I will currently be accepting any and all congratulations' on my evolution towards adult romances from YA ones because I'M GOING TO BE WENTY IN EIGHT MONTHS (freak out) The minute I read the synopsis for Cindy Antsey's Suitors and Sabotage, I KNEW I WANTED TO READ IT. It's about an architect and an aspiring artist in Victorian London and, in all honesty, is probably going to be my next read. 1. 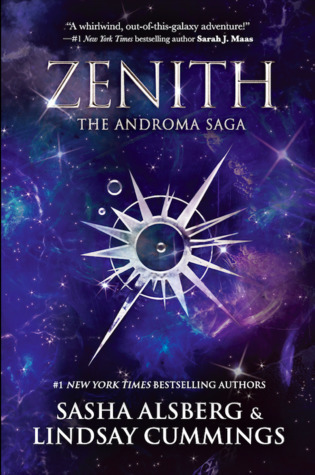 Zenith by Sasha Alsberg and Lindsay Cummings: If you don't already know it, I AM OBSESSED WITH BOOKS SET IN SPACE. I initially heard reviews RAVING about how good Zenith was and I put it on my TBR and when the lovely folks at Harper India sent it to me, I picked it up as soon as I could. I really liked some parts, but the pacing of the book could DEFINITELY have been better. You can read my review here. 1. 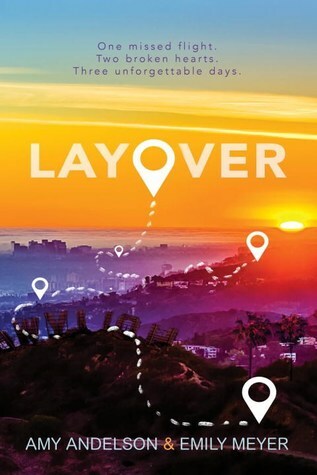 Layover by Emily Meyer and Amy Andelson: Honestly, I requested this book PURELY BECAUSE THIS COVER IS TOO GORGEOUS FOR WORDS. Also, I've never read a book centered in an airport before (with the exception of those movie endings where someone just happens to be leaving) and I'm quite excited to dive in! AGAIN, HOW GORGEOUS IS THIS COVER?! 1. 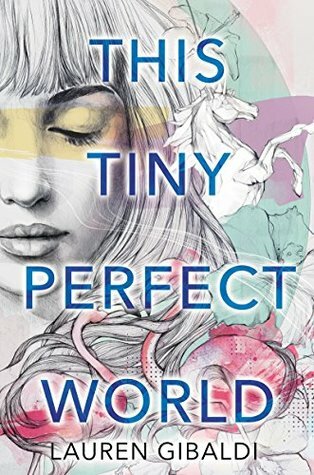 This Tiny Perfect World by Lauren Gibaldi: AGAIN, HOW ABSOLUTELY PERFECT IS THIS COVER? 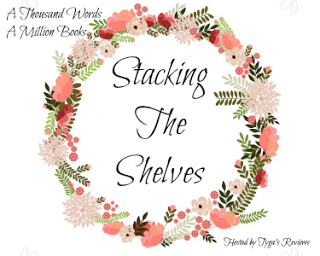 Why are covers so gorgeous? Scholarships, Theatre, Cute Boys and A BEAUTIFUL EXTERIOR. I am so excited.